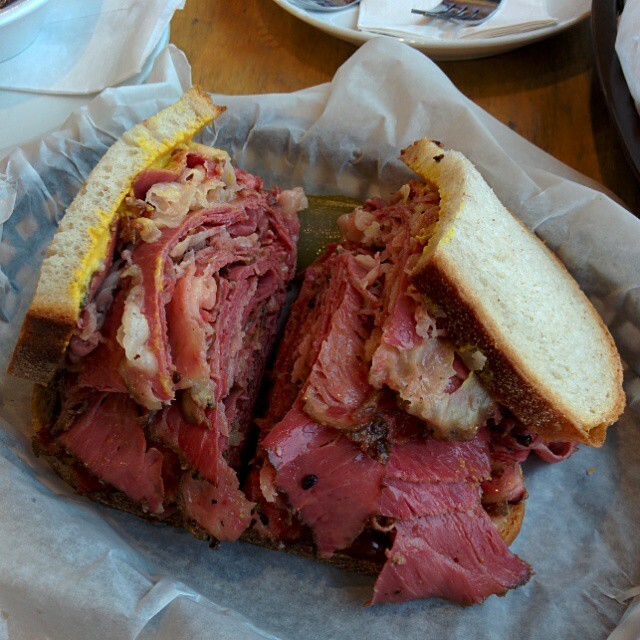 The Montreal Smoked Meat sandwich, a Canadian icon. Greater Vancouver has a few places that make a decent version but there is one that stands above them all. 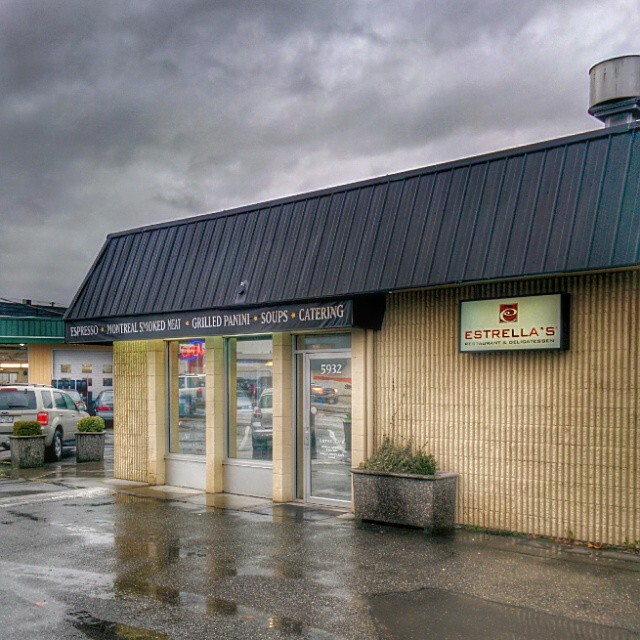 Estrella’s in Langley is as close as it gets to being in Montreal. Hidden in plain sight on 200th street between Industrial Ave and Logan Ave, you’d drive right by Estrella’s if you didn’t know it existed. It is surrounded by automotive shops, industrial buildings and an oddly placed dentist office. Now that you know where it is open up your calender and make some time to check it out. The smoked meat sandwiches are the best around, by a wide margin. Most places in Vancouver make a sandwich with meat brought in from Montreal which tends to taste like it’s travelled in a truck across Canada. Other places make their own but it always comes out too salty. Estrella’s house made smoked meat is absolute perfection. Tender, juicy, flavourful without being too salty. You can order it lean (less fat) or marbled (more fat) just like they do it in Montreal. Obviously the full fat is tastier, the choice is yours. You can get poutine, grilled paninis, burgers, sandwiches, soups, espresso and speciality coffee. Nearly everything is house made from scratch. The poutine is outstanding.